With its high bandwidth capacity, potential for seamless mobility, and proven security mechanisms, private LTE through the new shared CBRS spectrum offers game-changing opportunities for enterprises to improve their networks, expand services, and increase their ROI. Currently, private wireless networks based on LTE in the CBRS band are in pre-commercial testing environments. Once this spectrum becomes commercially available for enterprises to deploy, the opportunity for new business models will be significant. Thus, allowing enterprises to upgrade their communication with a high-speed network at the cost and simplicity of a managed service Wi-Fi solution. Here are three ways private LTE over CBRS will change common business applications for a variety of industries. There is no question that the workforce today is more connected and mobile than ever before. Employees increasingly rely on smart phones, tablets, and other mobile devices. Adding to this complexity is the design trend of open concept offices with no desk assignments, leaving executives and frontline employees alike to complete their tasks armed only with a smart phone and laptop. 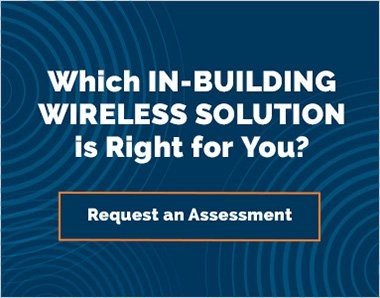 These new facets of workplace culture create an increased need for high-performing wireless networks that offer a seamless user experience. That seamlessness is expected whether you are outdoors (on carrier wireless networks) or walking through your office. A private LTE environment allows employers to maximize the user experience for their employees without the need to build a proprietary carrier system in their offices. 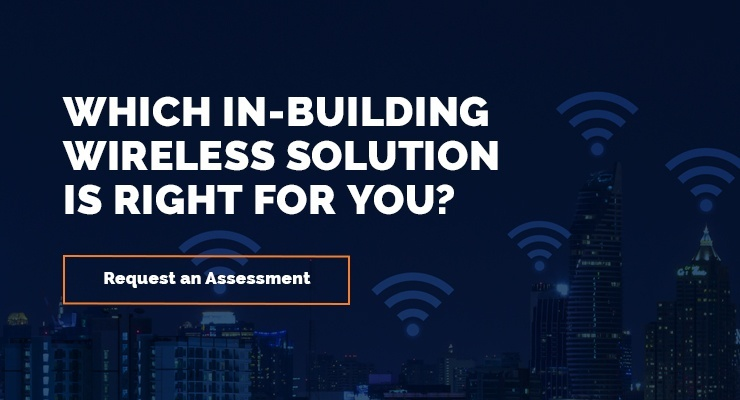 As long as the user’s device supports CBRS, there is a way to solve the mobility, roaming, handoff, and cost challenges experienced with carrier-only or Wi-Fi roaming solutions. The ability to offer enterprises unified communications over a single platform with a high quality of service is an exciting opportunity. The total cost of ownership for this approach is very attractive when compared to solutions today where the unified communications platform does not actually unify all your enterprise communications because mobile services are often left out. It is simpler to offer a better-quality premise-based mobile communications platform. Often when Wi-Fi based platforms are rolled out to support on-premise voice applications—such as for nurse communications or back-of-house services in hospitality—the devices end up on a desk or in the IT professional’s closet because calls drop and users get frustrated. Private LTE provides carrier-quality voice, push-to-talk and the ability to push additional data services to certain users who previously only had 2-way capabilities. 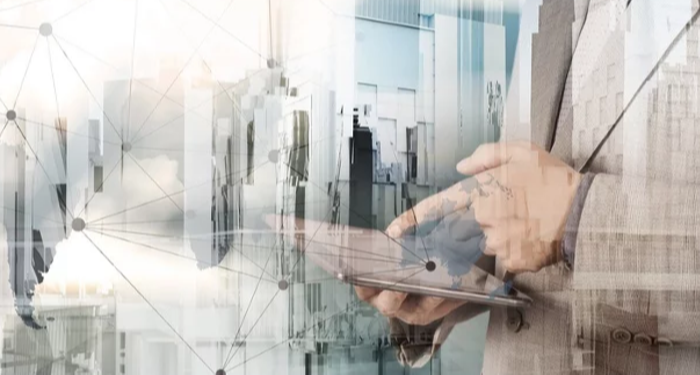 As the Internet of Things (IoT) becomes increasingly critical to business, high-performing connectivity is more important than ever. Private LTE networks will enable the deployment of IoT connectivity that is optimized, secure, dedicated, and on-premise. With increased communication abilities, facilities can create safer environments. For instance, if something looks dangerous or broken, employees have “the capacity to report the incident with multimedia,” enabling a faster, more prepared, and more efficient response. Other connected security measures at facilities may include surveillance cameras, intrusion detection at fences, doors, and windows, and badge reading devices. A private LTE infrastructure can support all of these measures with reliable, high-capacity coverage that increases security capabilities. Private LTE is an ideal solution for security applications. Private LTE allows for a closed system with a long signal reach, more connections, and lower interference providing great coverage and unprecedented capacity. There are an abundance of use cases for networks that have large monetary impacts for events (i.e. point of sale systems), or networks with statutory requirements for security and reporting, such as the healthcare (HIPAA) and financial (SEC) sectors. The ability to move all your sensitive data, and the device connections that handle this data, onto a separate network segmented from non-secure information is very attractive. It is especially attractive for handling proprietary data and data governed by regulations, such as in the healthcare industry. SIM-based security—a hallmark of LTE networks—allows network administrators specific control over who has access to critical data. In networks handling proprietary information processes impacting life safety (i.e. oil and gas fields or refineries) you have the ability to keep the network entirely disconnected from outside systems. In industries such as finance, where governing bodies like the SEC require data and conversation logging, a private LTE network over CBRS offers the ability to handle your organization’s data and unified communications (text, voice, and video) over a single secure network of record. This offers a simpler approach to reporting and a conciser way to drive accountability. In a stadium or event environment, the point-of-sale process is being driven closer to the front lines and responsible for supporting digital payments (credit card, Apple Pay, Android Wallet, etc.). A private LTE solution on the CBRS band provides a highly reliable wireless connection with seamless coverage, allowing food, beverage, and merchandise vendors to process more payments faster. It also creates more opportunities for the venue to increase sales and boost profit margins, and gives fans a better experience with lower wait times and less frustration. The endless possibilities for CBRS and private LTE present unlimited opportunities for new enterprise business models to emerge. The day is fast-approaching when reliable in-building and outdoor connectivity solutions will not just be limited to huge stadiums and complexes with massive budgets. The exciting and efficient business applications soon to come through private LTE over CBRS band will impact all businesses in the very near future.